You know the ballerina twins. You know the smiley poop. You know the mustachioed stranger. 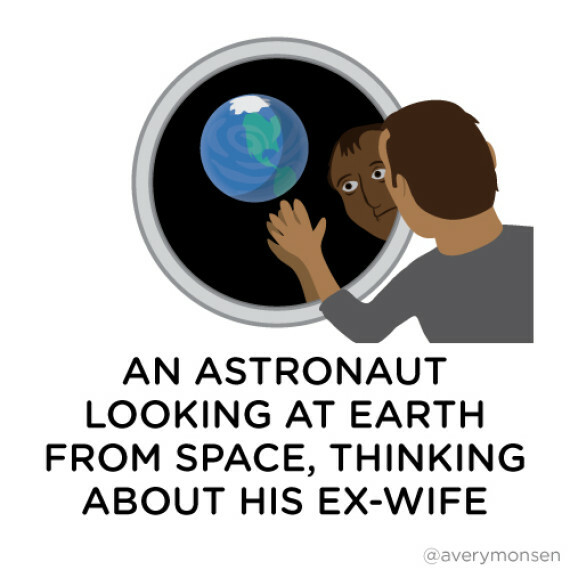 But do you know an astronaut looking at Earth from space, thinking about his ex-wife? Welcome to the wonderfully weird world of "Rejected Emojis," home to all the cartoonified life occurrences that may not be as universal as the widely accepted emoji set, but are far more entertaining. 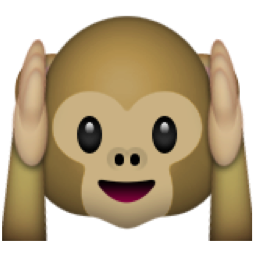 While standard emoji capture universal emotional states, like happiness, sadness, and the hear-no-evil monkey, the spurned bunch features more, erm, particular circumstances. 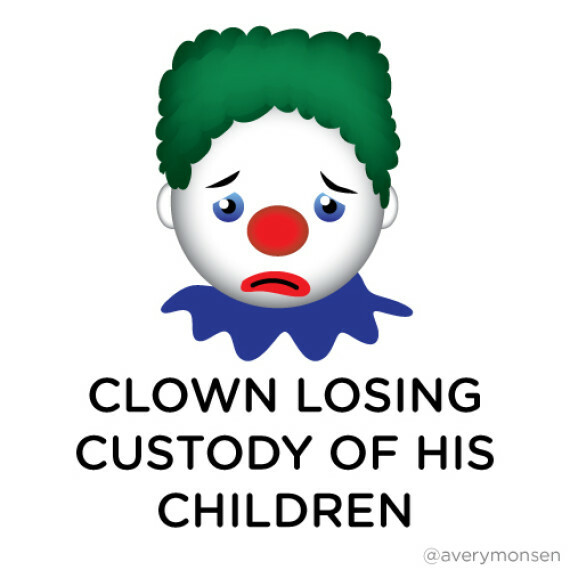 For example, those moments when you feel like a clown losing custody of his children. (We've all been there.) The random and hilarious cast proves that there's no such thing as a stupid emoji, though some are a little frightening. This motley crew of internet rejects is brought to you by New York-based actor, writer and artist Avery Monsen. According to him, it all began with a simple Vine, in which 100 new emojis flash wildly across the screen. Pause it at any particular moment and, voila! A random rejected emoji all for you. Give it a try below. Monsen, who frequently performs at New York's Upright Citizens Brigade Theater, is the illustrator and co-author of books including "All My Friends Are Dead" and "I Feel Relatively Neutral About New York." While his bizarre brand of emoji aren't quite applicable to everyday life, they tap into some strange thoughts and fantasies that we've all experienced from time to time. Come on, who hasn't experienced teeth pain in a weird and worrying way? "My inspiration was this," Monsen explained in an email, "at some point in the recent past, a group of designers sat around a table, arguing over which images are most essential to human communication. After going back and forth for days, they whittled everything down to 850 or so indispensable images. Among those icons were two dragons and a smiling turd. To me, that’s hilarious. "So I thought it’d be fun to make some of my own. I tried to think of emoji so specific that nobody would ever need them (Goose Experimenting With Black Magick; An Astronaut Looking At Earth From Space, Thinking About His Ex-Wife; Two Worms Pretending To Be One Long Worm). It took about three days to write and illustrate all 100 of them. Was this a bad use of my time? History (and Internet commenters) will decide." As for his favorite? "That's like choosing a favorite child, if your children were a bunch of dumb drawings you made. 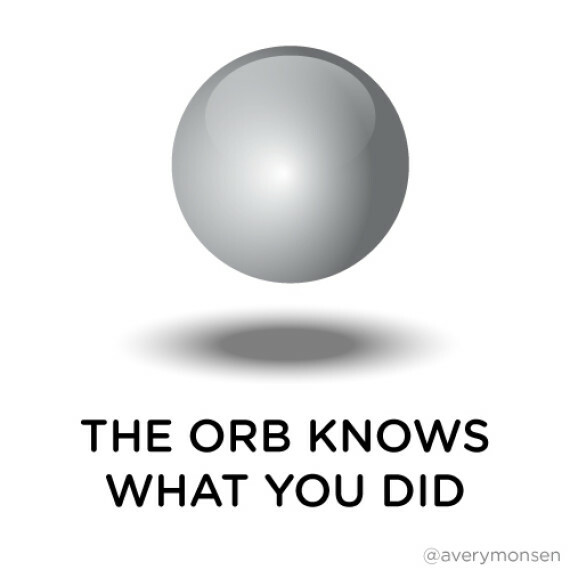 I’ve certainly got a soft spot for 'The Orb Knows What You Did,' though." Take a look at some of our favorite rejected emoji below and head to the master Tumblr to see them all. Just further proof that emoji are taking over the world.